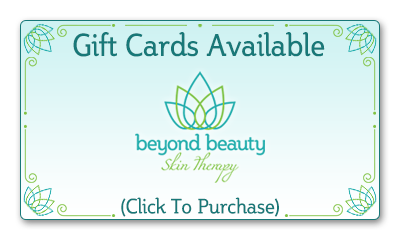 After spending almost two decades in the spa industry, including the last 15 years as a therapist at a luxury hotel spa, I am excited to welcome you to Beyond Beauty Skin Therapy, a restorative skin care salon for all. 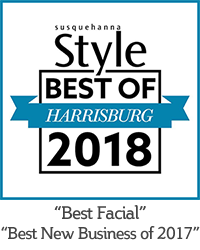 Conveniently located in a beautiful Victorian building on Market Street in Camp Hill, we offer high end, resort style personalized spa treatments to suit all individual needs. Our product partners are Pevonia Botanica, ABI Dermaceuticals and Makes Scents Natural Spa Line, a local Lancaster-based company. We use only natural, plant, fruit and marine-based products that do not contain any synthetic ingredients or preservatives. We strive to personalize every treatment to bring out your most healthy and radiant skin. Schedule a complimentary Consultation and receive free samples or give us a try with our New Client 60 min Personalized Facial for only $40. Returning clients can take advantage of saving $10 off any treatment valued at $60 or more on their next visit when they reschedule before they leave. Please call us or schedule an appointment online at your own convenience. I had my second facial with Maria and it was fantastic. She does a great job and is so sweet. I look forward to seeing her again. This was my first Facial and I loved it. Maria was great. I don’t have any others to compare it too, but no need to. I have had massages, pedicures and Himalayan salt cave treatments and none could compare to the peaceful treatment I received for 1 hr. This will be my retreat for all the stress I have from work. And I love the skin care products. I’m in my late 50’s and have tried most of all of department brands out there. Pevonia Skin care really makes your skin look and feel great. Thanks Maria! My experience with Marie far exceeded my expectations. She is the consummate professional. I was mesmerized by the setting and atmosphere of her establishment before she even began. It was beautiful, pristine, and completely relaxing. Her expertise and techniques are unparalleled. Her products were amazing. She explained what she was doing, answered my questions, and was then quiet while she worked. I have never left a facial or massage scheduling my next visit. I did so this morning. We’re located at 1924 Market Street, Suite 1, Camp Hill, PA 17011. Give us a call at 717.695.6583.